I've been browsing tons of bedroom inspiration because we are moving around our room to incorporate a beautiful 1940s era hutch my grandmother is passing down to us. The piece is beautiful and it will look gorgeous our light and bright bedroom. 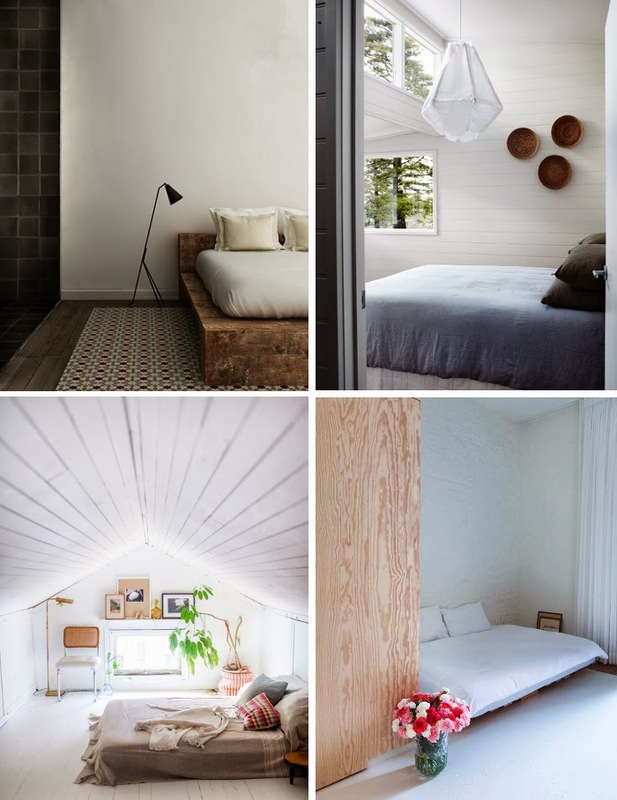 We currently have our bed at floor level so here's a floor/platform bed roundup to mark some inspiration for our bedroom: floorbeds/platform beds, simple & uncluttered space, white walls with muted tones for bedding & accents.